The resolution to extend the First Congregational Church of Webster Groves’s (FCCWG) sponsorship of Boy Scouts of America (BSA) Troop 301 passed with 72 votes “yes”, zero votes “no”, and three votes to “abstain”. FCCWG began the process to consider their relationship in August 2012 when a few church members requested their relationship with troop 301 be revised. In May of 2013 the National Council of BSA voted to include openly homosexual scouts in its organization, but continue to exclude openly homosexual adult members. Congregation member Carol Mallette voted to approve the resolution. She said she attended all of the open church discussions on this topic and was glad the resolution passed. Robert Woodsmall, an Eagle Scout and resolution committee member, said he believes the three votes to “abstain” were from those who would have voted “no” in August 2012, but saw BSA take steps toward total inclusion. The resolution states that in 2017 the church will again review their relationship with Troop 301. Mallette said she plans to continue to be present at church meetings about to help continue the relationship. 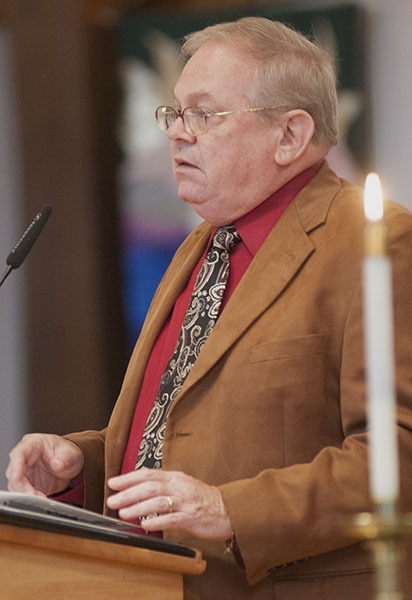 Moody said he could not imagine the church without sponsoring Troop 301, a relationship that is America’s longest between a chartering organization and BSA troop. The resolution passing begins the the 106 years of continuous sponsorship. Joe Logan, a congregation member and Eagle Scout since 1938, voted to pass the resolution because he believed it was the right decision. Moody said the position will help McCoy from not having to be present at every Troop 301 meeting. No one has been chosen for that role yet. Woodsmall said he would like to see someone who is younger fill the role.